The government of India has realized that expansion of education over the nation is significant elements of economic and social development. Indian education system is one of the largest systems in the world. In its size and diversity, India has the third largest education system in the world, next only to China and the United States. Since ancient time India has been well known in the field of education. A reading of Indian education history reveals that Ancient India is known for its rich cultural heritage and famous universities like Nalanda and Takshshila where knowledge was preserved and propagated through an oral tradition. Recently this rich Indian education tradition has become the matter of concern because of multiple reasons. In spite of a large improvement at different levels our present educational system is not up to the mark. On the other hand according to the HRD report published in 2011, in terms of human development India is ranked 134th among the 187 countries and in terms of the education index also India is doing even worse. It is ranked 146 in the world. In order to improve this degrading academic atmosphere of the country Government of India has taken initiatives like SSA, RTE Act, CTE, NCTE etc. for holistic improvement in education, but still some issues have arised as a hindrance in these mission. This edited volume is a compilation of various articles discussing about the different facets of education and an attempt to answer the questions which frequently arise in the field of education in India. The contributors from various disciplines have approached the topic in different ways in this regard. 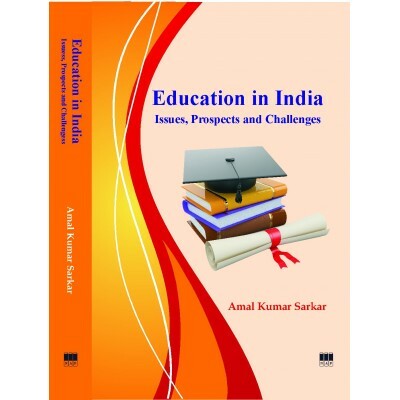 In this volume the contributors have tried to present an elaborate discussion about the issues, prospects and challenges in education in India.